TheOneMilano has chosen some fashion and tourism destinations in Lombardy. CRESPI D’ADDA, in the Bergamo province, is a truly unique reality: it is a late 19th century Workers’ Village, an entire town built from nothing by the owner of a cotton factory. The company town of Crespi d’Adda, along the Adda river, was built from nothing in the late 19th century by the Crespi family (cotton manufacturers), by the owner of the factory for his workers and their families. Founded in 1878, the factory has worked until 2003 in the cotton and textile sector and today the village is inhabited by a community which is mostly descending from the original workers. The main entrance of the factory is the most memorable image of Crespi. From the main street of the village the visitors can admire the wrought iron gate, the chimney and the directors’ offices : a superb architectural composition, which became symbol of industrial architecture from the late 1800s. The factory of Crespi has got only one floor. 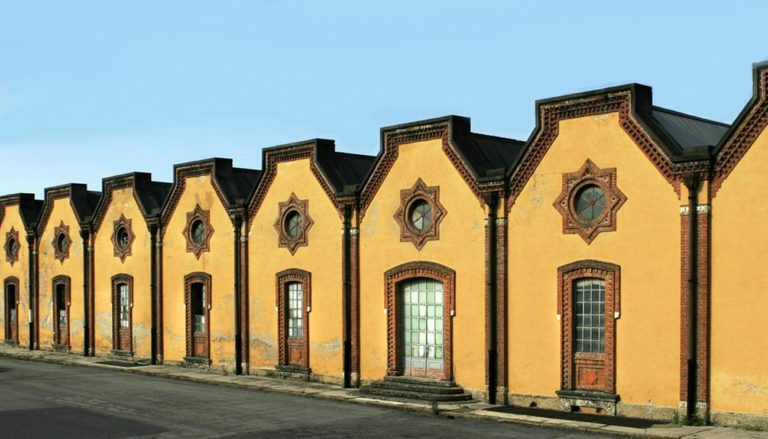 The factory’s sheds are characterized by decorations made of terra cotta and bricks and create a fascinating row along the main street. 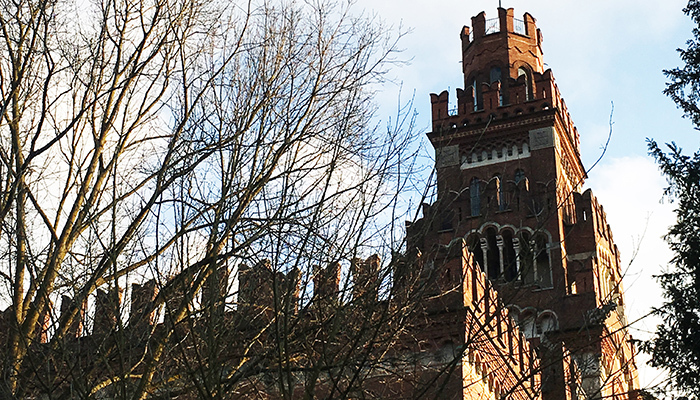 The villa of the Crespis reminds of an imposing medieval castle. It is settled near the river, at a very little distance from the village. The series of cottages lined up in order represent the most typical image of Crespi Village. These cottages look simple but pleasant and were conceived as a modern solution for workers’ houses. by the examples of English workers’ houses. During the twenties, the Crespi’s decided to build some villas with an eclectic style. These villas are beautiful, elegant and capricious, and were assigned to the directors and clerks. 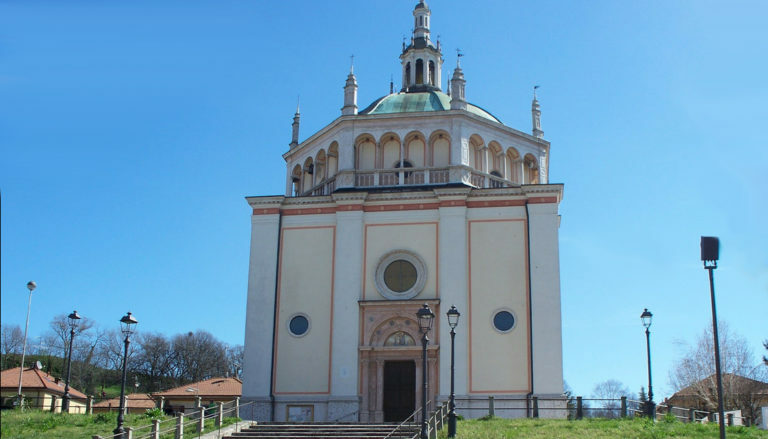 The Church : it is the exact copy of the Renaissance church (school of Bramante) in Busto Arsizio. The Crespi family wanted to recreate the same temple in their Village, as a reminder of their own town and of the Italian Renaissance. The School : it was intended to be both a useful service for the growing population and a means for preparing future workers. The were also taught the skills that were required to be a worker. The Community Centre : the workers could meet here after hard work in the factory. The centre included also a library and a bowling lawn. The Wash House : it allowed the washer-women to wash their clothes near the houses, avoiding a long walk to the river carrying heavy baskets full of clothes. The Cemetery : it lays at the end of the main street. It is characterised by the Crespi chapel. The eclectic-style monument rises to embrace the workers’ graves, small crosses disposed in order in the meadow. The Village of Crespi can be visited either with a guide or on your own: in either case, please behave respectfully towards its inhabitants and monuments.